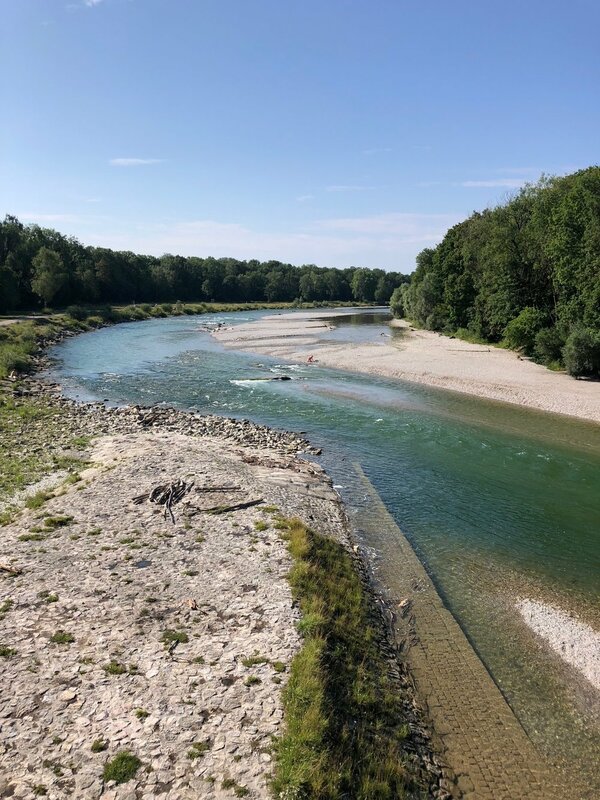 One of the best parts of living in Munich is the Isar - a wild river with fresh water directly from the alps. It goes all the way through the city, in some parts there are beer gardens, in some parts you can barbecue, there are places where clothes are optional, in most parts you are allowed to go swimming and it's also fun to tour it by boat in summer. 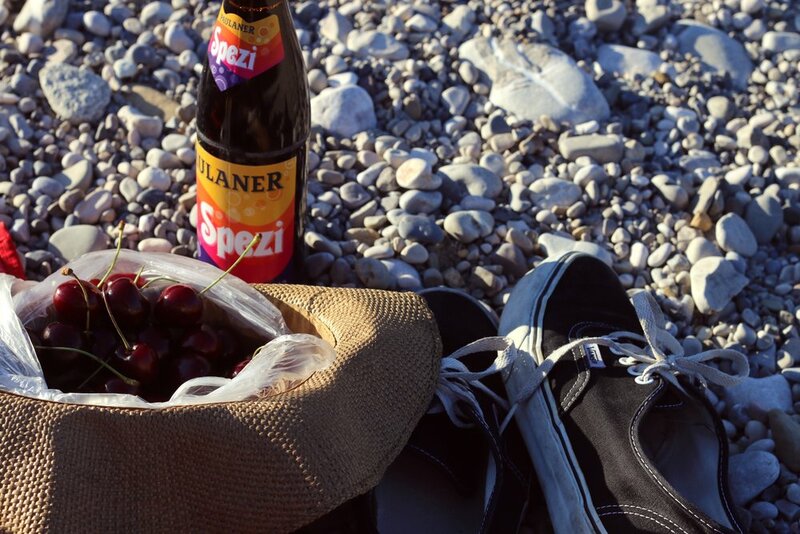 Whatever your perfect summer day at the Isar looks like, there are a few things you should know, to find the right spot for you. The general rule of thumb is: the easier accessible by public transport, the more crowded it will be. Biking is always a good idea, with wide bike lanes on both sides of the river, and bridges connecting them every once in a while. Also good to know: public bathrooms are sparse and mostly not available. Some kiosks and all beergarden have them, but don't expect a high offer on snacks or shops or bathrooms along the river. In the popular areas there are a few portable toilets along the way... better than nothing, I guess. below the popular Flaucher the river is being divided by a few islands. They are perfect for sunbathing and several spots are clothes optional. A plus is a number of trees and bushes, which makes it easy to find some shade on a hot day. It is the most Southern Spot of the City, where open fires (=Barbecues) are not allowed yet. This can be a good thing if you don't want do be surrounded by smoke and the smell of grilled goods while sunbathing and swimming. You can reach it by public transport (U3 Brudermühlstraße) and a short walk. If you ride your bike down south for a while after Tierpark/Flaucher, you'll arrive at Marienklausenbrücke soon. It is a nice and popular spot and there are kiosks for drinks and ice cream. A few hundred meters south there is plenty of space to sit in the sun and swim without many people around. It is a bit of a ride from the city and makes for a nice long bikeride south on a sunny day. If you go by car or S-Bahn, there is a little walk down the woods until you get to the weir and reservoir attached. If you cross it, and walk a bit up north, there are gravel banks and not too many people. But be aware that the ones there could be not wearing any clothes since it is a clothing optional area.